Samsung introduced curved edge displays to their phone lineup starting with the Galaxy Note Edge, a phone that was sold in limited quantities. The Edge display became mainstream with the launch of the Samsung Galaxy S6 Edge in 2015. With the Samsung Galaxy S8, Samsung Galaxy Note 8, and Samsung Galaxy S9, every Samsung flagship device now has a curved display. The Edge display was also accompanied by the Edge Screen feature, which a developer has replicated to work on any Android device. The Edge Screen feature lets users swipe from the curved edges of the Samsung Galaxy S6 Edge, Samsung Galaxy S6 Edge+, Samsung Galaxy S7 Edge, Samsung Galaxy S8, Samsung Galaxy S8+, Samsung Galaxy Note 8, Samsung Galaxy S9, and Samsung Galaxy S9+ to use features such as Apps edge, People edge, and more. The Edge panels were simple shortcut panels that enabled quick access to frequently used apps, contacts, and more. Edge Screen has been a feature of Samsung’s flagship devices for a few years, but it should be noted that technically, it does not require the presence of dual curved display edges. 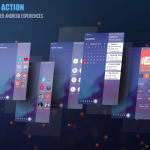 In fact, it can theoretically work on any Android phone if it is ported in the form of an app, and that’s just what XDA Senior Member alticode has done. 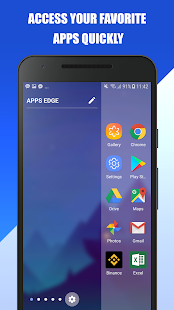 He has released his own Edge Screen app that brings Edge panels for any Android phone, not just Samsung phones. Apps edge for accessing frequently used apps. People edge for favorite contacts. 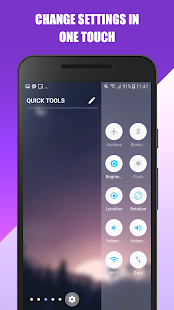 Quick Tool edge: Allow users to control some quick setting such as turn on/off torch, Wi-Fi, Bluetooth, data, Airplane Mode, increase/decrease volume. Softkey edge: This allows users to replace the phone’s hard keys by the soft key panel, allowing them to lock the phone with a power key and do the functions of the onscreen navigation bar. Calendar edge: Users can create and manage events. Screenshot edge: This also allows users to record screen. 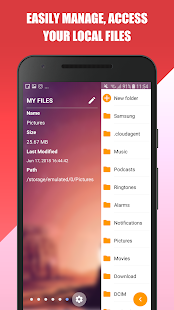 File explorer edge: Users can manage their files with cut, copy, rename, share, and delete operations. The developer states that he plans to develop more edge panels such as weather edge, Google Drive edge panel, Dropbox edge panel, and Flashlight edge panel. Users can swipe from left or right to use edge panels, and tap anywhere outside of the edge panel to close it. Alternatively, they can also press the back button to close the panel. Edge Screen also provides a setting to change the background of the panels.